Canvas: Sepia-iro no Motif 4 out of 5 based on 3 ratings. 3 user reviews. Asau Daisuke is a high school student and a gifted artist – but he is currently suffering from a block, which keeps him from painting. 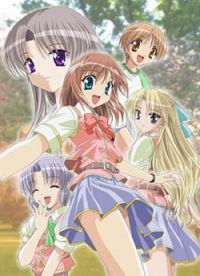 His childhood friend, Tachibana Amane, who loves him deeply, persuades him to do a portrait of Kimikage Yurina, a girl with a heart condition, before Yurina undergoes surgery. In the process of rediscovering his art, Daisuke also realises the love that he and Amane feel for each other. Based on a popular love-sim game.